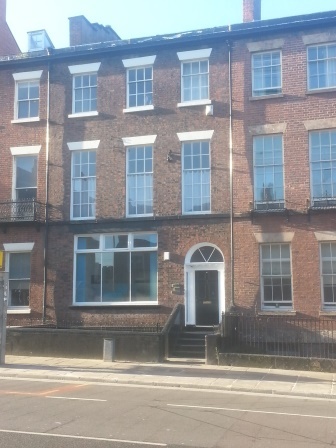 TO LET – Ground floor office / showroom premises along Mount Pleasant, close to Liverpool John Moores University and Liverpool Science Park and extending to 1125 sq ft with the option of additional basement storage and first floor board room. The premises incorporate cctv, gas central heating, cat II lighting, pre-cabled for IT/Telecoms and fibre optic internet link. Secure parking spaces via electronic gates. Asking rent £12000 pa plus service charge.